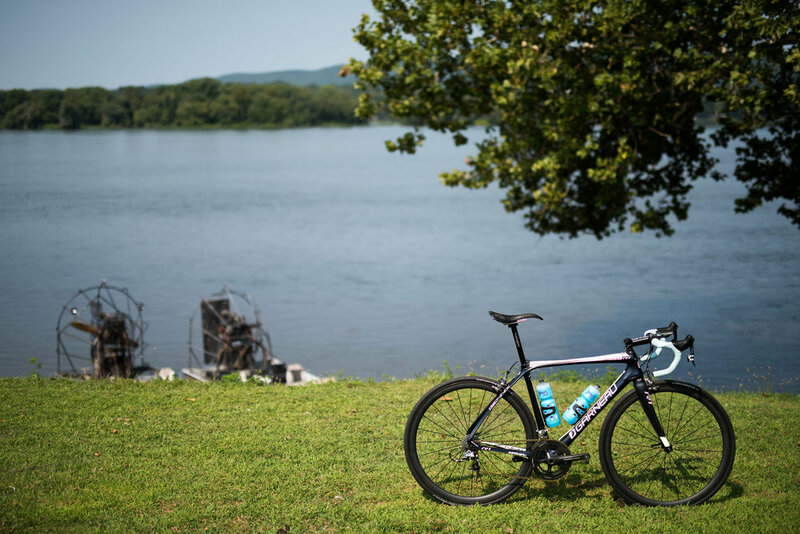 Next weekend the Tour de Millersburg returns for it's eleventh edition on the banks of the Susquehanna River. 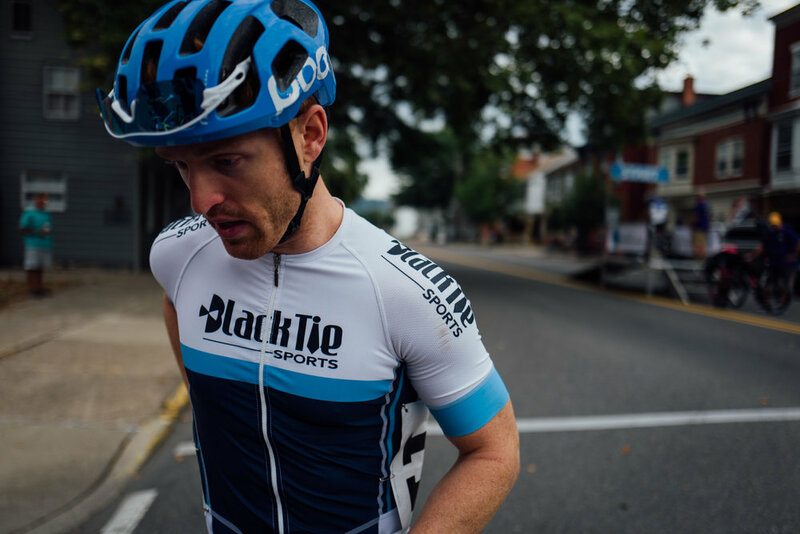 Featuring three stages across two days of racing, To Be Determined has participated in the Tour de Millersburg for several years running and we look forward to attending the 2017 race with a big squad. As we have been doing for some of our favorite races, including Gateway Cup and the White Plains Downtown Criterium, our pitch for joining us in the fun follows below. Registration is available via Bikereg. Over the past five years the TBD boys have been fortunate enough to participate in an array of races across the country. On the high end there are races like the Intelligentsia Cup in Chicago and Gateway Cup in Saint Louis that draw the cream of the crop from across the nation to large scale all-day race events with the vendors and crowds to match. These races are a far cry from your typical New York City event that occurs at an hour that precludes all but the most dedicated spectators, leaving a few significant others and family members gathered around a finish line unceremoniously drawn across the road in Central Park or an abandoned runway in Brooklyn. 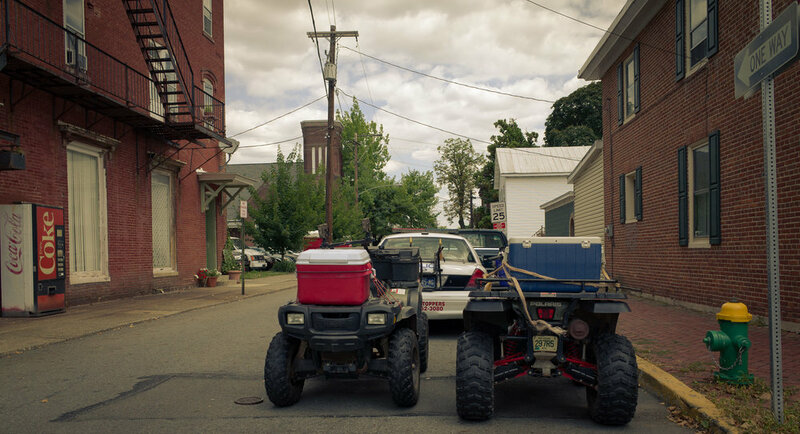 Somewhere between these polar opposites lies the Tour de Millersburg in the small town of Millersburg, Pennsylvania. 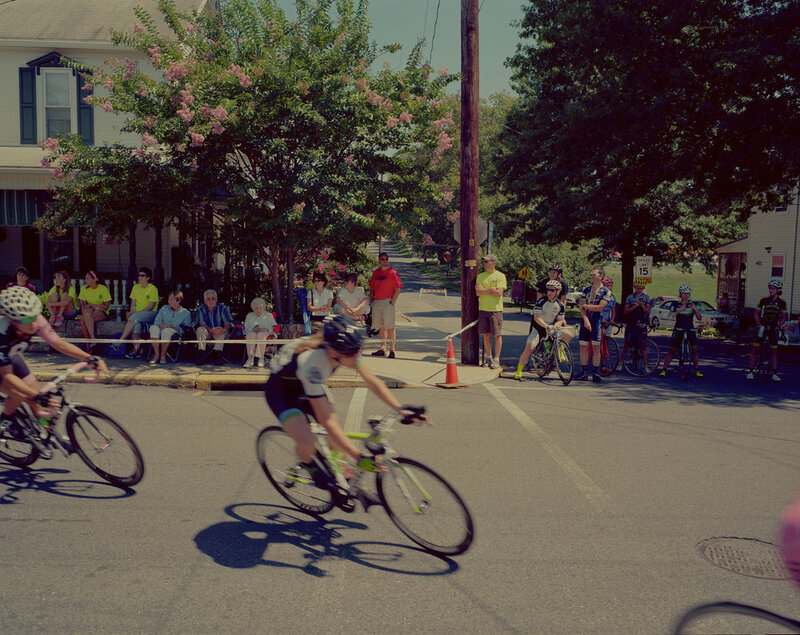 Taking place each August the Tour de Millersburg may not have the huge prize pools of a national level event but it more than makes up for it with unmatched small-town charm and community support. To understand the Tour de Millersburg you first need to understand the community that organizes and supports the race. 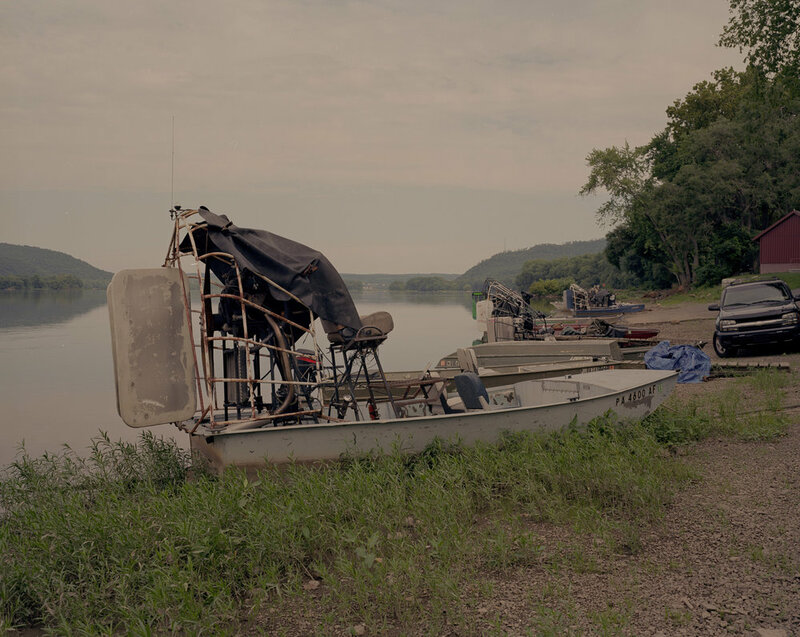 Dating to the 1800's Millersburg is town of just over 2,000 people set on the wide banks of the Susquehanna River and a large portion of the community is involved in the race in some form or fashion. From host housing offered by many generous residents (and the local church) to volunteer course marshals and spectators that come out to watch the very challenging criterium it's refreshing to encounter a community that welcomes the lycra clad racers that shut down large swaths of downtown Millersburg. As for the actual racing the reverse omnium format and sizeable fields from New York, New Jersey and Pennsylvania guarantee a hard fought weekend of racing. The time trial may be a straight-forward out-and-back route but the criterium is one of the most challenging courses you'll find anywhere with an uphill stretch that leaves many fields in tatters. The Sunday road race wraps things up with a rolling course and a short KOM climb that gives breaks a shot, though the downhill finish is fast finale that requires good positioning and sprinting power. All things considered the Tour de Millersburg is a course that rewards rouleurs and smart racers, though regardless of success or failure on the bike there is still plenty of fun to be had between post-crit hangs at the community pool (free to racers! ), ice cream at William's French Fries ("fresh cut since 1945") and cold beers at the Wooden Nickel. 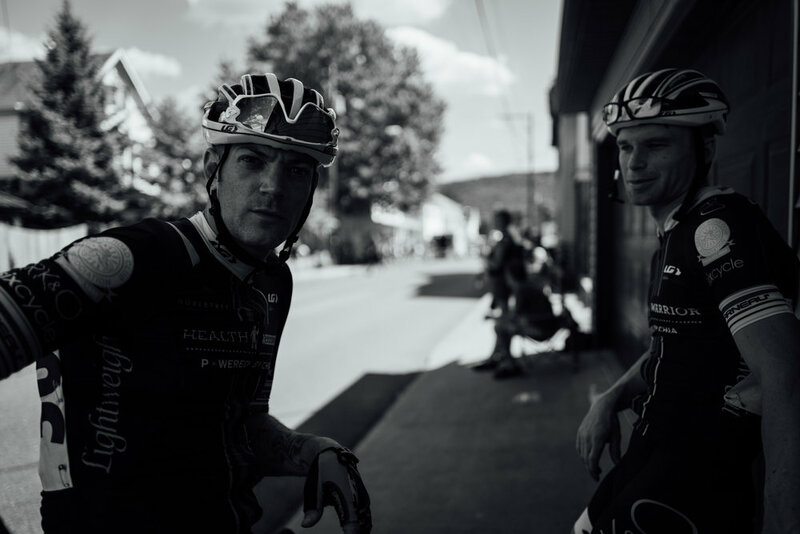 As a team we have had a lot of good times at the Tour of Millersburg and we can't wait to return for another year of all that the race and the town has to offer. Corey Morenz, To Be Determined's official body builder, shows off for some of the local youth. 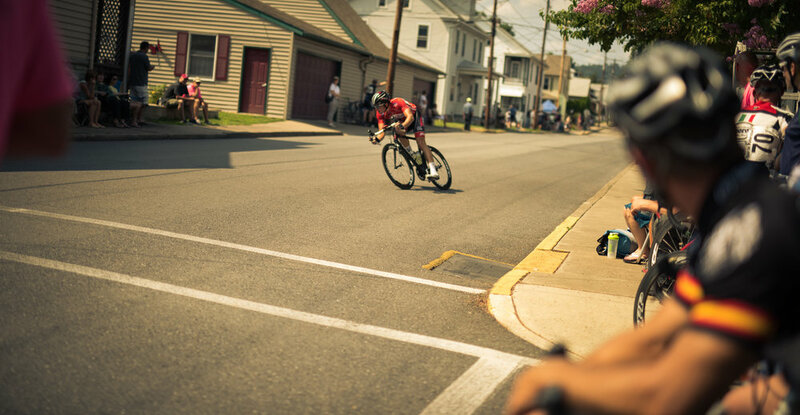 Setting: All three stages of the Tour de Millersburg start in the quaint downtown section of Millersburg, PA, on the East bank of the Susquehanna River. Founded by Daniel Miller in 1807, as of the 2000 census Millersburg had 2,562 residents. Local attractions include the historic Millersburg Ferry, the last surviving ferry that crosses the Susquehanna. In operation since 1825, the ferry landing serves as the docking point for a fleet of locally owned airboats and is a pleasant rest area for cyclists between races. The Ned Smith Center for Nature and Art is also located just outside Millersburg, set on 500 acres of land with two art galleries. 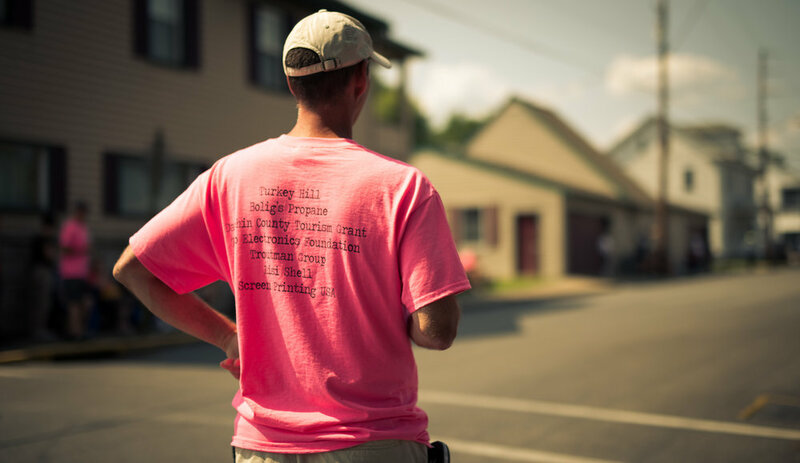 Spectators: Created in 2007 to celebrate the 200th anniversary of Millersburgs founding, the Tour de Millersburg is particularly notable for its strong community support. 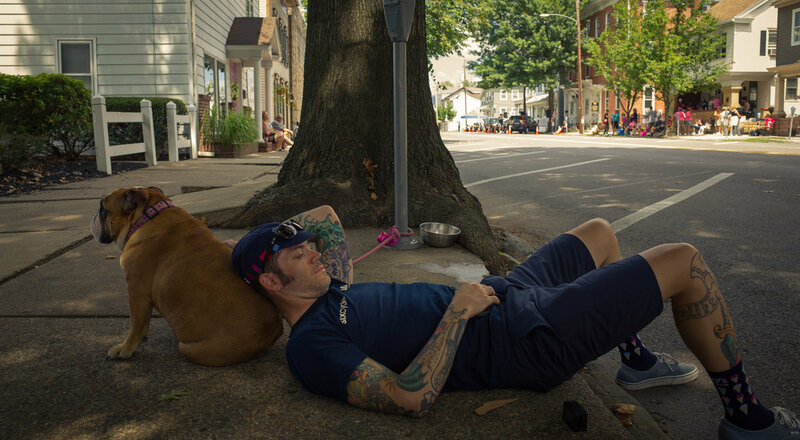 In addition to a wealth of volunteers associated with the race, local residents also setup shop in various front yards lining the course to watch the action. 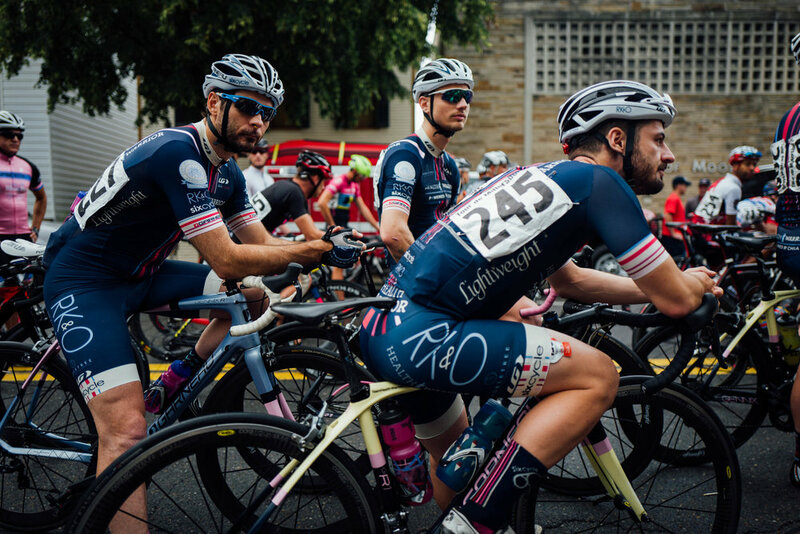 The most spectator friendly stage is the Cataldo Muggio Memorial Criterium which sees residents gather across the course with concentrations in corners one and three. 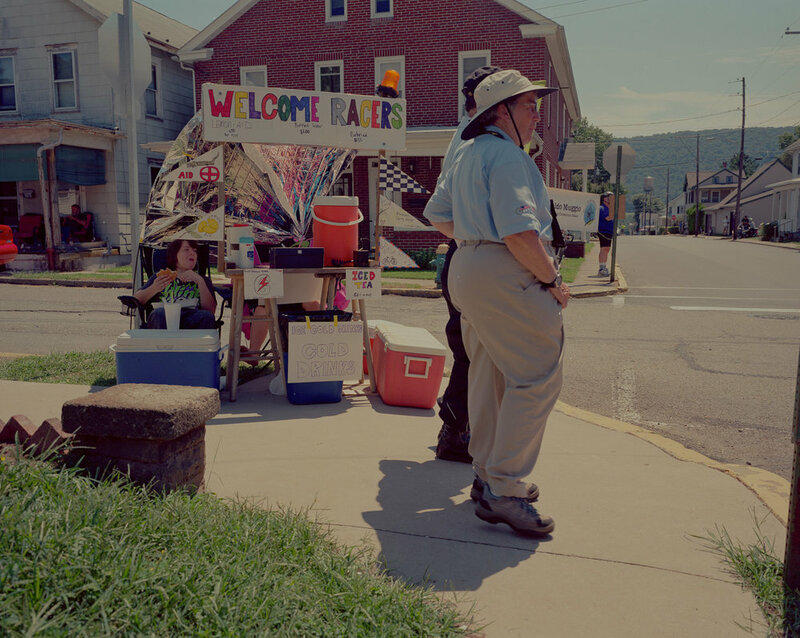 Host housing for racers is plentiful, further highlighting the extent to which Millersburg's population supports the race. History: Stage Two of the Tour de Millersburg, the Cataldo Muggio Memorial Criterium Race is named for Cataldo Tommy Muggio. According to the Tour de Millersburg technical guide, Muggio was born near Naples in 1896 and immigrated to the US via Ellis Island in 1911. Racing in the US with the Century Road Club Association he was recognized as the US record holder for 20 miles (55 minutes, 20 seconds) and 25 miles (68 minutes, 55 seconds). Following the end of his competitive career he promoted bicycling and bikeways and was instrumental in the establishment of a bikeway along Shippen Dam Road. 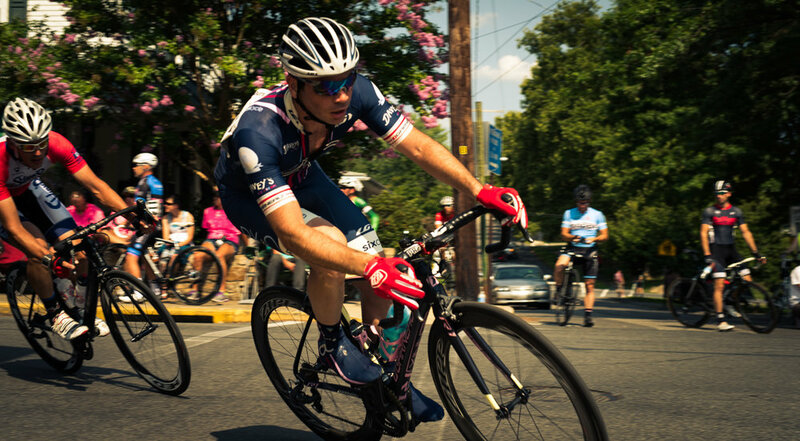 Racers: Pennsylvania based riders are the largest contingent represented at the Tour de Millersburg, with New York and Virginia also sending a significant number of racers to the event. The 2013 Mens Elite field featured several professional riders and was won by Optums Scott Zwizanksi followed by Michael Chauner of Garneau Quebecor. The Tour de Millersburg also features two womens fields, with the 2013 Elite Womens race won by Kathleen Giles (ABRT) who was also the winner in 2012. Terrain: The opening stage of the Tour de Millersburg is a flat out and back TT finishing with a slight ascent back into downtown Millersburg. The Criterium that follows is on a four corner course featuring a challenging climb between corners three and four, with corner three being the tightest and most technical on this fast course. Sunday's Road Race takes place on several laps of rolling Pennsylvania countryside with open terrain exposing riders to any crosswinds blowing on race day. A short switchback climb early in each lap serves as KOM points with a downhill drag into downtown Millersburg generating a fast finale. Notes: Racers receive free entry to the Millersburg Swimming Pool which features tube slides as well as high and low dives. In 2014 the team took its second consecutive trip to Millersburg with a collection of racers that continued to grow in size with the appeal of spending a beautiful weekend in Pennsylvania. 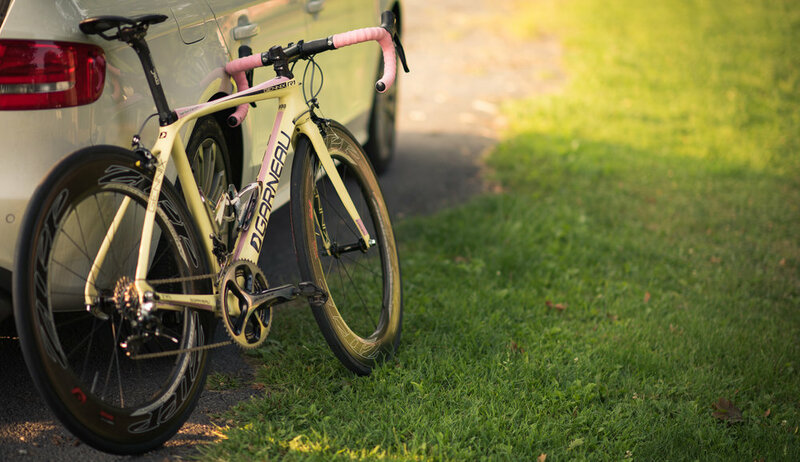 The 2013 edition of the Tour de Millersburg was the team's first foray at the event and also happens to be the edition where we brought out a medium-format film camera to shoot a few 'old school' shots of the action.